Ladies it is time to lift off those blankets and dust off your wet suits. 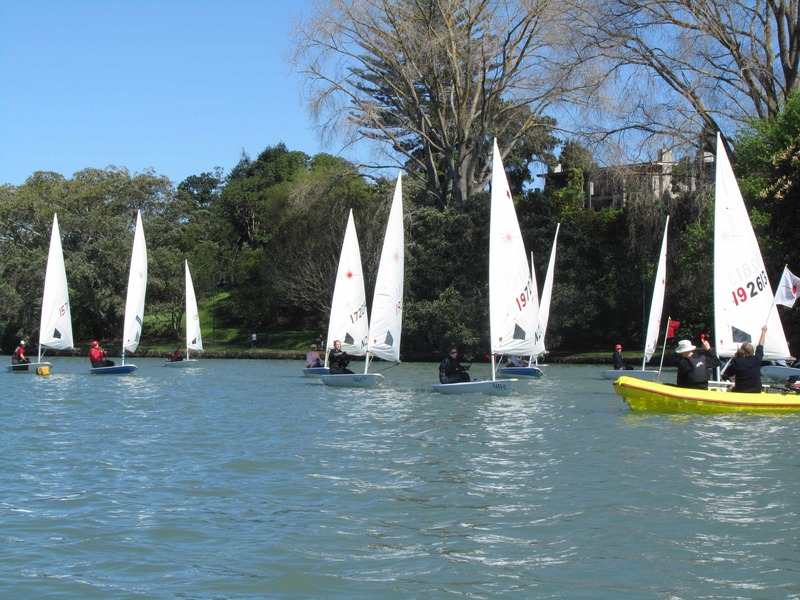 organised by the NZ Laser Association. 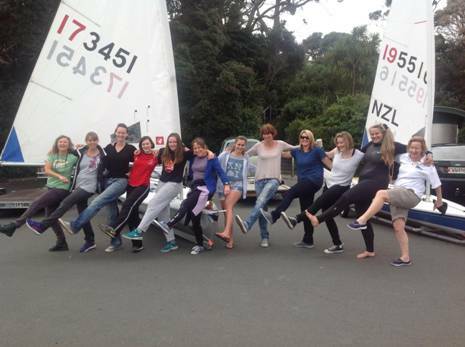 It will be another eventful sailing season finishing off in 2016 with the Auckland Women Laser Champs on 30th April. These are just some of the events to get you all up and ready for the Masters World Games in April 2017. You can all participate in the games with a bit of practice and help. 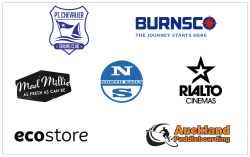 And help is what you will get on Saturday 5th September with a great coach to brush up your skills, our coach will be Mike Bullot a talented member of the 2015 YNZ sailing team, who came 3rd in the Oceanbridge Sail Auckland Regatta this year. Email Chantal at grassc@gmail.com by 29th August if you are interested in attending, then I can advise Mike and the Point Chevalier Yacht Club of the numbers. There will be some yummy baking by the Club members to be enjoyed after a hard day on the water. Boat - If you have your own boat, it is preferable that you bring it for the coaching session so that any adjustment tips learnt can be customised to your boat. If you do not have a boat and want to attend Point Chevalier Yacht Club has some lasers that could be used, please let us know and we will put you in contact with the Club. 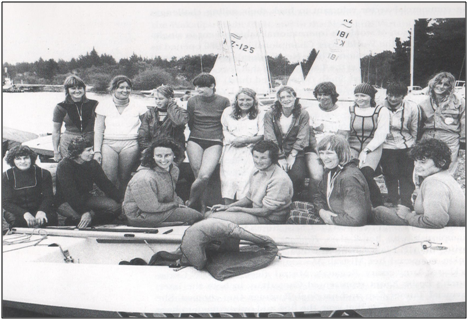 New Zealand Women’s Laser Championships, February 1979 at Taupo. 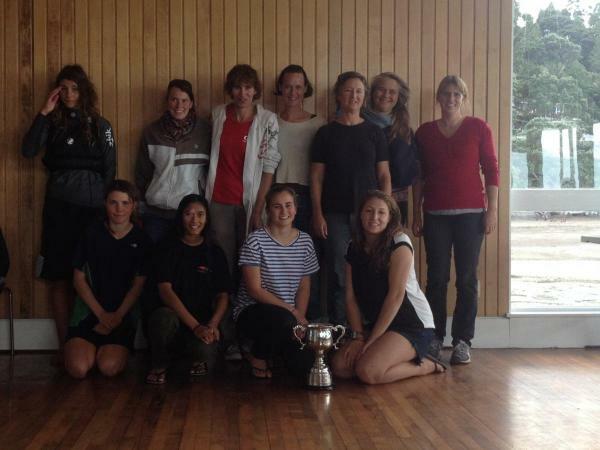 Standing from left: Ann McDonald (third place, Auckland), Jan Shearer (Dunedin), Katherine Stewart (Taupo), Jan Hammond (Auckland), Anna Whitehead (Auckland), Miree Le Roy (Timaru), Rowena Carlson (San Diego USA), Jessica Trotter (Auckland), Millie Pickering (Picton), and Julia Gray (London, England). Seated from left: Philippa Binning (Auckland), Geraldine Pearce (Auckland), Margaret Ott (First Place Auckland), Marjorie Greenwell (Taupo), Margaret McEwen (Auckland), Joanna Stewart (Taupo). Missing from photo is second place getter Sheryl Smith (Tauranga) . Photo supplied by Ann Mc Donald for Sailing Away. Hope to see you all on the 5th September, it will be a 10:30am start, so make sure you are all rigged by that time. 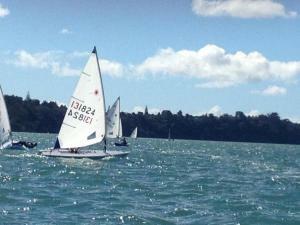 The 2nd edition of the Auckland Women Laser Cup held at French Bay Yacht Club was a huge success. 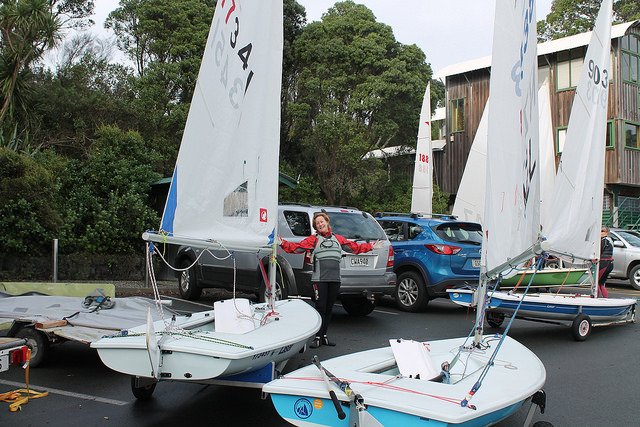 Eleven women sailors from French Bay, Kohimarama, Panmure, Point Chevalier, Pupuke and even as far as Worser Bay came to participate in this great event. A glorious autumn sun glistened on the Manukau harbour setting the stage for a great regatta with winds ranging from 5 to 15 knots and some racing tidal currents towards the end challenging all sailors. There was some very close racing in the A fleet for 1st place between Libby Porter from Kohimarama and Megan Thomson from French Bay. 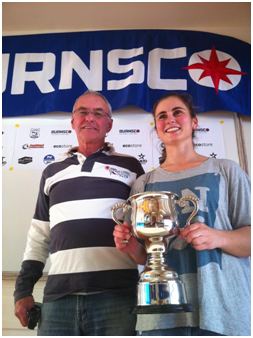 Libby finally won the day by winning the last race and coming back for the second time in a row with the impressive Auckland Women Laser Cup donated by Jim Quinn. Megan came a very close second and Georgina Wooldridge from Pupuke came third and first Master Women. First Junior was Aleisha Ferguson from Panmure. The B division was won by Annika Greve from Worser Bay, second place and first Master went to Annie Mills from Panmure and third place to Ngaio Balfour from French Bay. This was a fantastic effort for this group as this was for many their very first regatta. 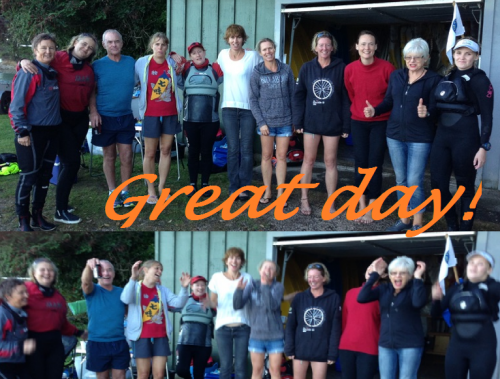 A special thanks needs to go to French Bay Yacht Club for hosting a great regatta, we all enjoyed the friendly welcome, the help with the trailors, the yummy baking and a good burger after a day racing and some great prizes. Next year the regatta will be hosted at Point Chevalier Yacht Club, so if you missed this one make sure you are all there!